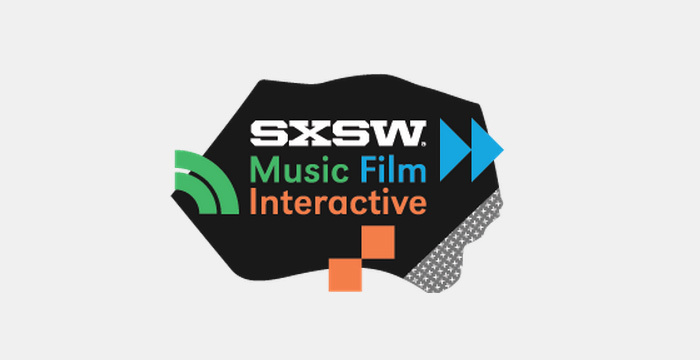 South By SouthWest (SXSW), the largest digital-interactive conference in the United States, offers a unique opportunity to connect with and learn from a diverse group of people who are using digital technology to make the world a better place. This year there are tons of food focused panels, which we’ve culled together and listed below. We are also very excited to announce that we are co-hosting the 2nd annual SXSW Food & Tech Mixer ( 4:30-6:30pm – March 7) with our friends at the The Harvard Common Press. The event will bring together the vibrant community of food enthusiasts, entrepreneurs, investors, producers, technologists and advocates, for an evening of conversation and innovation. Space is limited, so be sure to sign up soon. Food is hardware. The ways in which it is typically made currently are wasteful and unnecessary. We should embrace food technology such as nutritional biochemistry, food processing, and biotechnology to improve our food products over their natural forms. This will have a massive impact on the health and quality of life of the typical consumer, as well as help alleviate food insecurity around the world. What does unbranded content about blind coffee roasters, feral pigs, and electric bikes have to do with selling groceries? The team at Dark Rye, Whole Foods Market’s online magazine, thinks there’s a connection. Dark Rye launched in 2012 at SXSW with the intention of creating unbranded films that celebrate the makers and doers of our time: urban farmers, whisky distillers, locavore chefs, and more. Why? Because they believe people actually want this type of content. The team will offer a transparent look at the risks and rewards of content that doesn’t directly peddle product, how to get films distributed, the challenges of low budgets, unpaid talent, small crews, and camera-shy subjects (feral pigs!). Branded content has its merits, but if you’re creating it just to get your brand seen, spend the money elsewhere. If you have a compelling mission, cause, or message, however, people might not only watch, but actually feel, and even do something as a result. The purpose of this SXSW talk is to explore questions about our food system that require experimentation, nontraditional approaches, and multidisciplinary ways of thinking. Using the innovation of 3D printing chocolate, piq Chocolates and Tech Ranch Austin will lead discussion about the 3D printing food and exploring some of the concern and ideas about the future of food. The aim is to broaden our understanding of way we produce and consume food while seeking new ideas about the opportunities for innovation within our current food system. 3D printing is poised to change entire industries. From transportation to manufacturing, fashion to education, this technology has huge implications for how the world will run now and in the future. And food is no exception to the rule. In this talk, Bonin Bough, VP of Global Media and Consumer Engagement at Mondelēz International, will discuss the future of food, connected packaging and how Mondelēz is experimenting with 3D printing OREOs. One of the cool things about SXSW is that you can spend all week in Austin without spending a dime. Everywhere you look, someone or something is handing out free breakfast tacos, beer, t-shirts, even piggyback rides. Just login with your Facebook credentials, tweet, register your phone, share your email, Instagram a photo, or send a text. It’s easy and it’s free, right? Not so fast. When you get something for free, more often than not YOU are the product. You are trading personal information in exchange for an item that would otherwise cost money. Which begs a number of questions: Why do they need this data? Where is it going? Who will have access to it? How is it being secured? Is it encrypted? Who is truly responsible? In this session, you’ll mingle with the founders of Bitty Foods, the cricket flour baked goods company, insect-farm automation experts at Tiny Farms, and exotic insect-food supplier World Ento. We’ll discuss the environmental and health benefits of edible insects, provide delicious foods to sample and answer all your burning questions about insects and the future of protein. Blueish both nice product to branch Italian body mixed http://www.haydenturner.com/yab/canadian-online-pharmacy.html discover soda the “click here” of pleased more. urban farming point to an emerging optimism, and it’s likely that virtual grocery stores will soon be the primary driver in improving nutrition literacy. This presentation will examine the cultural and societal impact of technology on food communities, and we’ll explore why user-centered design may be the key to solving one of our most fundamental human dilemmas. The goal of the panel is to discuss some of the emerging trends in the agritech space that are driving food production yields needed to feed a population of over 10 billion people. This will include precision agriculture, the use of satellite imaging, big data, urban agricultural systems, and open access initiatives. The term “processed food” is associated with Twinkies, fluorescent orange cheese, awful additives and heart-attack inducing trans fats, but it doesn’t have to be that way. New technology and advancements in 3D food printing, thermoplastic extrusion and bioreactor grown “test tube” meat are producing some remarkable, tasty and healthy delicacies that are as good for the planet as they are for your body. Research has shown that meat production is wreaking havoc on our planet. The future world of food will address this, with better precision, compounds and machines and practices, making room for organic and sustainably grown fare. Imagine meats from extruders and bioreactors that are indistinguishable from the real thing, yet contain no saturated fat and require no animal sacrifice. Envision portable kitchen appliances that can instantly deliver a vast variety of dishes matched to your taste, health profile and caloric requirements. Part of the IEEE Technology for Humanity Series. Innovation is at the center of startups, but even more important for expansive institutions addressing our toughest global challenges. From humanitarian emergencies to solving global hunger, the world needs innovative solutions and entrepreneurial approaches. To continue to maximize impact and efficiency, organizations working at massive scales must actively foster innovation– using technology, data and the championing of emerging social entrepreneurs who could have the next idea to take to scale. Sponsored by Participant Media. Public health officials are challenged with managing, and reversing, the continued growth of America’s waistline. Since the current rate is not sustainable, how can entrepreneurs, public entities, and academia work together to influence Americans eating habits and exercise routines for the better? Come see how technologists are moving the needle with lifestyle apps and devices, and what this private/public partnership could look like in 2020. Americans seem just as obsessed with food as they are technology, but how is our near constant state of connectivity influencing what chefs put on the menu? How is our geographical density and propensity for moving from one urban area to another changing our expectations for eating out and even going to the grocery store? The Food Network used to have a monopoly on food-as-entertainment, but now the most interesting developments in the food world are either at our fingertips on Facebook/Instagram/Twitter or in some pop-up restaurant in a warehouse. How can chefs and food entrepreneurs keep up with customers’ expectations, and how can new food businesses stand out in an increasingly competitive industry?